At Vit-D Tanning we pride ourselves on offering the best treatments available at reasonable prices, without the hassle. After you have paid the receptionist they will start your sunbed for the time that you have paid for. No appointments and no hassle but someone always available to help. Safety is a top priority for Vit-D Tanning and there is always plenty of information available and someone on site to guide you as to the best tanning time for your skin type and what products will help you acheive the deepest most natural looking tan. 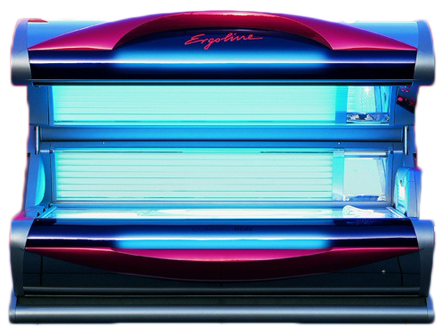 Vit-D Tanning Salon Exeter has been under new ownership since February 2015. We request that you bring your own eye wear protection or you can purchase a pair from us. Tanning accelerators are recommended for skin hydration and for tanning faster, a full range for every skin type is available to buy in tester sachets or a 250ml bottle. Be sure to check our Facebook page regularly as we post details about our “Happy Hour” and also run monthly competitions. You could be in with a chance at winning 50 free tanning minutes! Minutes purchased must be redeemed within 12 months. All block package purchases will qualify for the 25p per minute happy hour.